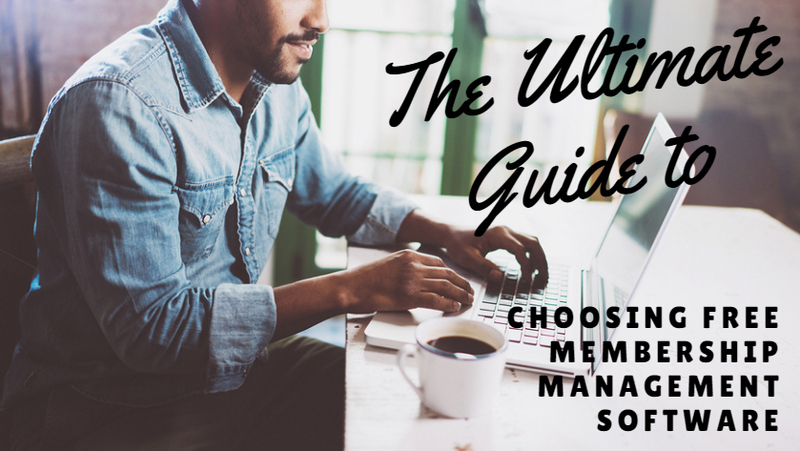 Note: This guide was updated to remove membership management software options that are no longer free. The membership organizations I’ve talked to usually began to search for a membership management solution when they reached about 50 members. At this point they were in a too big/too small sort of limbo — they’d grown big enough to feel administrative pain (from processing member records, running back and forth to the bank, and other tasks), but they were still too small to justify paying for a new solution. Luckily there are a number of free membership management software options to choose from. After speaking with a dozen membership organizations who got started on free membership management software, I put together this guide to help others just starting out. Membership Management Software, also known as MMS, is an all-in-one management tool comprised of a website builder, online contact database, communications system (email), finance & payment system, event platform, and more. 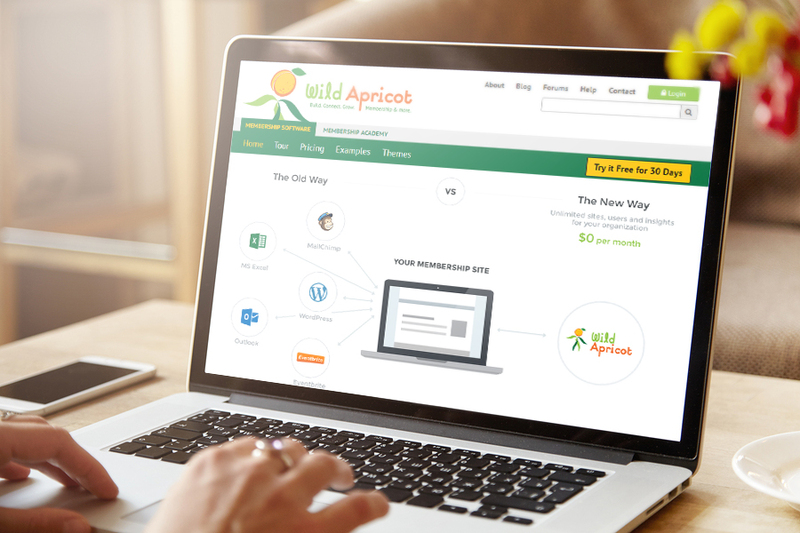 Below is an image we frequently use to explain how Wild Apricot (our membership management software) is an all-in-one platform that can handle all areas of your administrative work. MMS can replace and automate many time-consuming administrative processes you may be doing by hand. For example, MMS can completely automate new member applications, renewals, event registrations, online donations, invoice emails, and more. If you're interested to find out more about how MMS can save a lot of time, here’s the story of a sailing club that was able to save 20 hours a week by using membership management software. Instead of using and purchasing separate systems to manage your organization, MMS is an all-in-one tool that can do everything for you from one centralized database. MMS gives your organization a professional-looking website where members can self-manage their accounts (pay for dues, events, update contact info, access resources, etc.) online. MMS gives you the ability to publicize your events online through an event page with online registration and an easy-to-view event calendar. You can also set up an RSS feed so people can subscribe to all your event updates. The number one problem with using multiple systems to manage members is the risk of transferring data from one system to the next — member records get lost, duplicated, corrupted, or fail to transfer properly. With MMS, all your data is stored in one centralized, secure, searchable, filterable database. The website, email, events, payments, etc. are all seamlessly integrated, so there’s no worry of mixing records up. This also saves a lot of time when managing your member records. You can’t get locked into a contract. You can try a lot of different options with no risk. If you have the know-how, you can customize open-sourced software to your needs. Depending on which provider you choose, support for the system may be iffy, nonexistent, or paid. Some open-sourced solutions are dated and glitchy since they don’t have the same investment going into them as the paid versions (I had to remove three options from this list because they are no longer supported). You may get limited features compared to a paid option. You may have to host your own website. It’s difficult to switch your member records and website over to another system in the future. If the pros and cons match up with your expectations, you’re ready to choose a free option for your organization. In the next section I’ll cover five considerations that will help you choose between the different options. Is the system easy-to-learn? Is there support available? How secure is the system secure? Once you have your list of must-haves, you’re ready to start evaluating between options. In the next section I’ll cover two full service membership management software solutions with free lite versions, and then five open-sourced options. There are two full service membership management software solutions that also offer a free lite version of their software. “Lite” means you get access to the main membership management features while premium features are only available on paid plans — most small membership organizations can run their organization without issue on a lite version of full-service membership management software. The main benefit of choosing a "lite" solution is that you don't need any technical or coding expertise to setup your organization. Plus you're guaranteed the software will be fully supported and frequently updated with new features and bug fixes. And while you have the choice to stay on the free "lite" version indefinitely, as your organization grows and requires more capabilities, you can also upgrade to the paid version to access premium features. Wild Apricot is the number one provider of membership management software (that’s us! ), used by over 20,000 organizations worldwide. Along with a basic free lite version, Wild Apricot also provides a free, 30-day trial of the full version. In just an afternoon, you can build your entire website and upload your contact database all by yourself. That’s because Wild Apricot is an easy-to-learn system and even if you do get stuck, support is free. You can start a free trial here. And if you're wondering what type of membership website you can build with Wild Apricot, here are 25 examples to look through. Member Planet is used by nonprofits, religious groups, schools, boosters, PTAs, and alumni groups. They offer a basic free option for small organizations looking to use an all-in-one system to help manage their members. As your organization grows, you can upgrade your account to send more emails and have access to more robust features. Another type of free membership management software is what’s called, “open-sourced” software. “Open-sourced” means anyone is free to use, copy, or modify the code which makes up the membership management software. As a word of caution, some tech savviness is required in order to download, install, and operate open-sourced software. As Simon Hill of Crowd Sourced Testing points out, there’s also a high learning curve when it comes to modifying the code yourself. Another risk with open-sourced software is that the software developers may not have the resources to launch new features or fix bugs. Some may even abandon the software, or force payments down the road. I’ve already had to remove three open-sourced options from this list for these very reasons. Risks aside, the main benefit of using open-sourced software is that you can fully customize it to do anything you want, plus you can use its full capabilities completely free. Created in 2012, Zenbership is designed to provide a central hub helping online businesses & organizations acquire, monetize, and retain members. Features include invoicing, a content builder, eCommerce tools, and events management. Self-installation is free and they have a 14 minute video on how to do it. If you’d like to get setup right away, Zenbership also offers a one-time fee of $99 to do it for you. Admidio is an open-sourced membership management software solution optimized for clubs, groups, and membership organizations. They have a number of free plugins like a birthday list for members, category reports, membership fees, export to Excel, and more. Tendenci is an open source management system built for nonprofits, associations and or types of membership organizations. Features include event management, content management, online fundraising, photos, job boards and more. CiviCRM is a flexible membership management system used by over 10,000 nonprofits. Features include contact management, events, email marketing, case management, peer-to-peer fundraisers, and more. Their open source software is made possible from thousands of donors. Starting a membership organization is a lot of work, and growing it can be even more difficult. Best of luck with your membership!